Hear Us-Women's March Minnesota-What We're Celebrating On Women’s Equality Day. 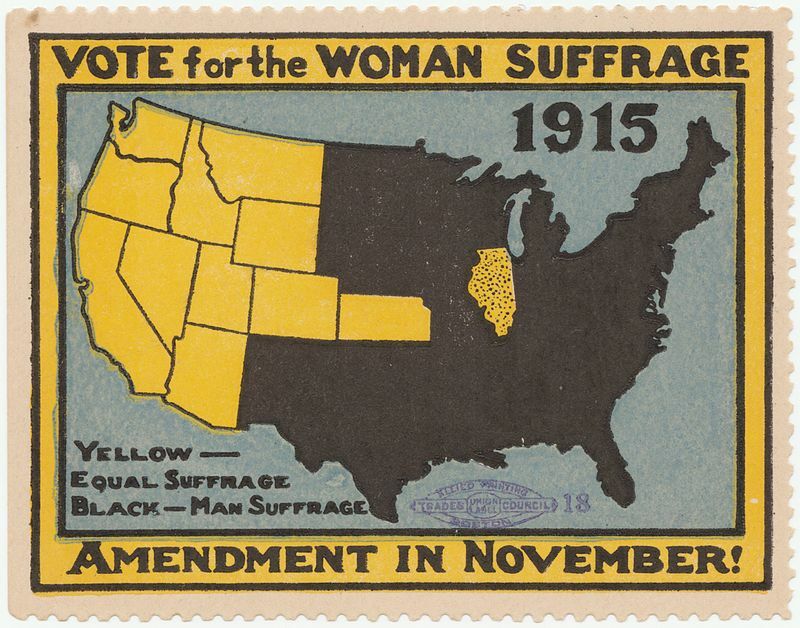 A version of the suffrage map in color for use as a poster stamp. Suffragists "march in October 1917, displaying placards containing the signatures of over one million New York women demanding to vote." Ratified on August 18, 1920, the 19th Amendment wasn’t officially certified to the Constitution until August 26, 1920, therefore signifying the importance of this day in history. The holiday was first celebrated in 1971, when Congress declared August 26th a celebration of women’s suffrage. Although this was a huge accomplishment for American women, the passage of the 19th Amendment didn’t result in voting rights for all women. Women of color remained disenfranchised and barred from voting for many more years to come. State and Federal laws continued to restrict the voting rights of people of Japanese descent and Native Americans. Literacy tests made it virtually impossible for thousands of African Americans to vote. These restrictive and unjust barriers continued to represent only the voices of white men and women, while continuing to oppress communities of color. It wasn’t until 1965, when the Voting Rights Act passed Congress, that all Americans were truly granted equal voting rights. Almost a century has passed since voting rights were granted to women, and we still have so much more work to do. Women continue to face the gender wage gap, a constant battle to protect our reproductive rights, and gender discrimination in the workplace. We are still fighting to add an Equal Rights Amendment to the U.S. and MN Constitutions. Gerrymandering and voter identification laws make it difficult for people of color and impoverished citizens to make their voice heard at the ballot box. The fight for equal rights is far from over! We must continue to advocate for women’s rights, and rights for those that remain disenfranchised. Take a moment this Sunday, August 26th to appreciate all the strides that have been made in women’s history; then make a commitment to get involved and continue to fight towards true equality for all.